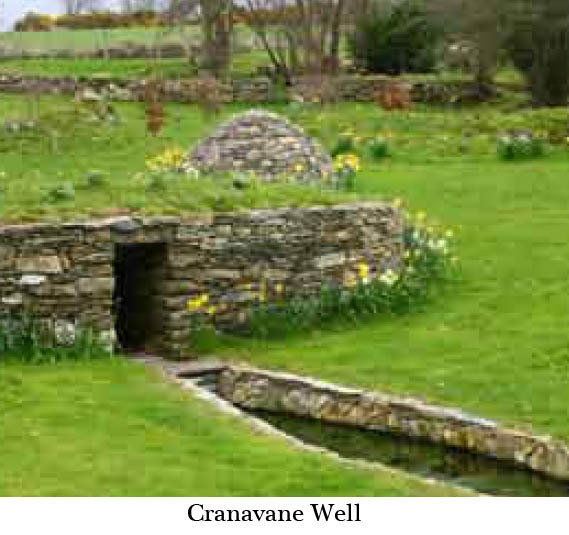 Set in an untouched rural landscape the 12. holy well at Cranavane is closely associated with the early medieval Barragh church, the ruins of which lie some 400 metres to the west. This church was linked with St. Finian who was born nearby in Myshall. 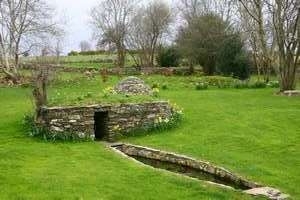 In front of the well there is a trough in the shape of a coffin where apparently it was the custom to dip coffins before burial in Barragh graveyard. The well itself is roofed and enclosed apart from its opening on the south side. The waters of the well are believed to cure a range of ailments including soreness of the eyes, pains and hurt limbs. People from the surrounding area come to the well, particularly in the month of May. The Patron or Pattern day on May 3rd attracts many visitors. In the nineteenth century large gatherings at the well could sometimes become rowdy and drunken, leading to the suspension of visits. Nowadays the recently restored well and its surrounding area offer a haven for those seeking peace and tranquillity. 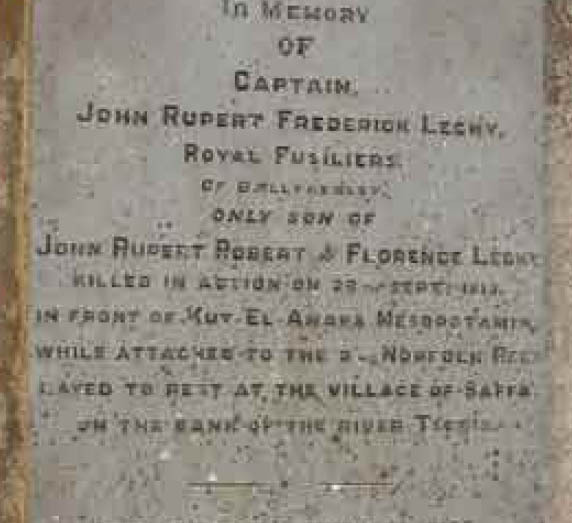 Pattern day: Day on which graves are visited and mass celebrated in graveyards.